Rogers Park ranks among Chicago’s most diverse and populous neighborhoods. Located nine miles north of the Loop, it is Chicago’s northernmost community. 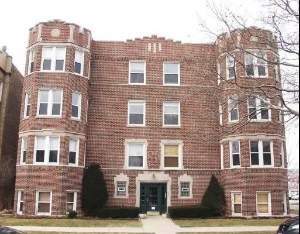 It is bounded by the City of Evanston at Juneway Terrace and Howard Street to the north, Ridge Boulevard to the west, Devon Avenue to the south and Lake Michigan to the east. 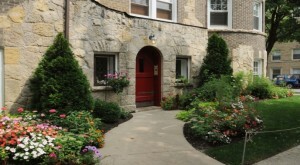 In addition to its diverse population of around 62,734, Rogers Park attracts many students to the area due to the proximity of Loyola and Northwestern universities. Bordered by Lake Michigan, the area boasts eight beaches and many recreational activities such as boating, swimming, fishing and walking along the shoreline. New construction in the neighborhood since the 1960’s has consisted of moderately sized apartment buildings and townhouses. Rogers Park has several CTA Red line stations including Howard, Jarvis, Morse and Loyola University. There is also the Metra Rogers Park station, where travel times to downtown Chicago are 20 to 23 minutes. In addition, there are several bus lines including the #151 Sheridan, #147 Howard Express and #22 Clark Street. For convenience, I-GO has lots in several Rogers Park locations. Rogers Park residents have a diverse choice when it comes to their children’s education. From virtual pre-K, charter, private, magnet, public, parochial, business, and private and public colleges, there is a school for everyone. To learn more about Rogers Park’s schools, click here. Rogers Park has a fair number of cultural and entertainment options but does not have the upbeat bar and nightclub activities that other Chicago neighborhoods have. The best live performances are found at the local coffeehouses. Loyola University also offers lectures, performances and sporting events. There is one four screen movie theater in the neighborhood as well as several theater companies. The diverse culture of the neighborhood can be seen in the area’s retail. You can find Indian, Pakistani, Latino, Carribean, Russian restaurants and shops. The new Gateway Center located west of the Howard “L”stop boasts a Bally’s fitness center, Marshall’s, Blockbuster and Dominick’s grocery store. There are approximately thirty Chicago Park District properties in Rogers Park, each offering a wide variety of free and fee based recreational activities. Some highlights are Loyola Park’s long beach area, Indian Boundary Park contains a small zoo and Warren Park which features a nine hole golf course and a state-of-the-art skate park. Rogers Park residents also enjoy the best Lake Michigan beach access in all of Chicago with small beaches to be found right at the end of its streets. Between the late 1830’s and his death in 1856, Irishman Phillip Rogers purchased approximately 1,600 acres of government land which formed the basis of Rogers Park. In 1872, Rogers’ land was subdivided and by 1878, enough settlers had moved into the area to incorporate the village of Rogers Park. The population increased steadily and further growth accompanied the villages in 1893. Over the years, Rogers Park’s population has grown increasingly diverse and older. According to the 2000 Census, thirty-four percent of those living in Rogers Park were foreign born. The neighborhood businesses, entertainment venues and religious activities are clustered on main streets and transportation breaks. Commercial districts developed along the neighborhood “L” stations. Until the 1980s, entertainment venues were an important part of these districts. During the first half of the twentieth century, Rogers Park possessed four large, elaborate movie palaces which eventually succumbed to changes in the movie industry. The area has been home to a ballpark, a country club and, most recently, a live theater community. 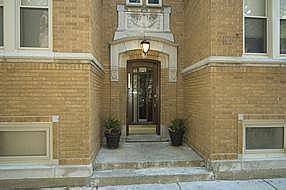 Rogers Park had been identified historically as a Roman Catholic and Jewish community but currently the neighborhood supports a variety of religious denominations.